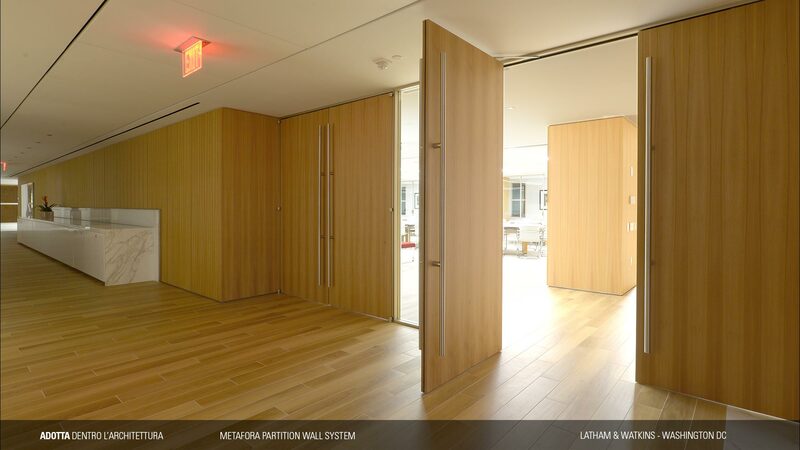 Adotta offers a variety of hinged, center pivot, and wood doors that are designed to integrate to the respective systems. 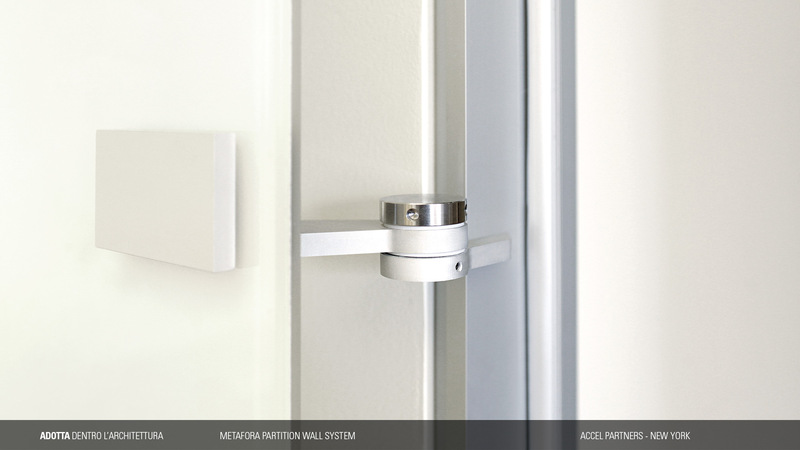 Adotta’s door hardware, signified by it’s beautiful Italian design and craftsmanship, are strongholds of the system’s integrity, and offs true testimates to the system’s durability and beauty. 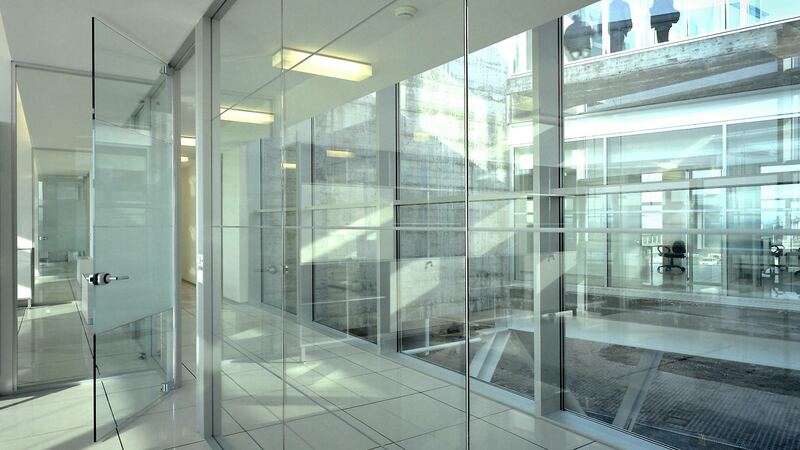 Frameless glass doors, single and double, consist of a 10mm (3/8″) or 12mm (1/2″) thick monolithic tempered glass panel with polished chamfered edges. 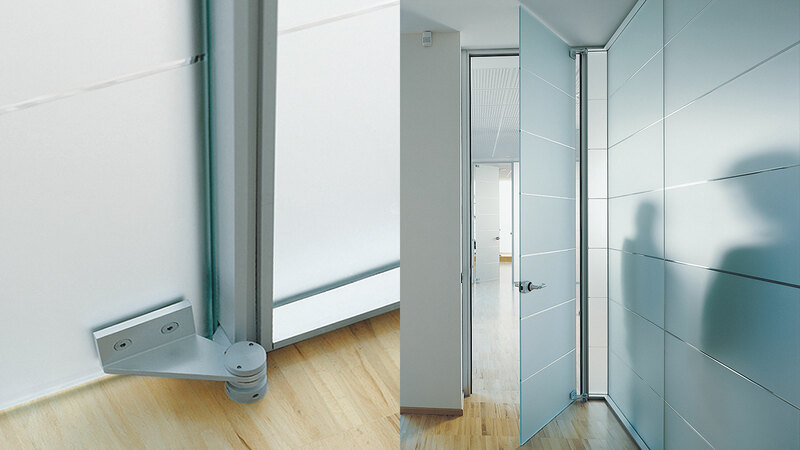 Wood door leaves are available in solid or honeycomb core at a 45mm (1-3/4″) thickness. 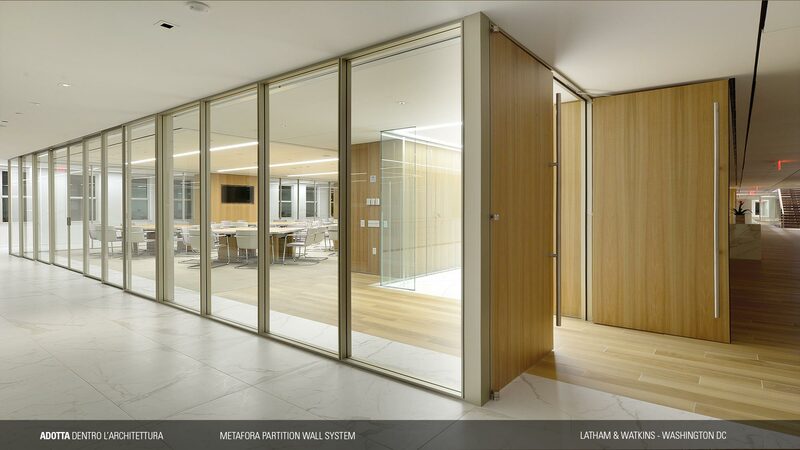 Adotta has the ability to produce wooden doors in most veneers and paint finishes, wood and lacquer, all matched to the designers control sample. 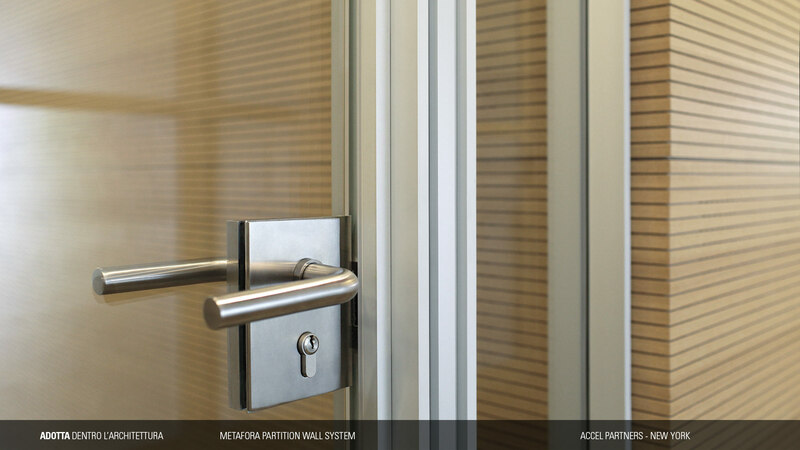 Glass doors are hung with a patented aluminum offset pivot hinge with stainless steel knuckle. 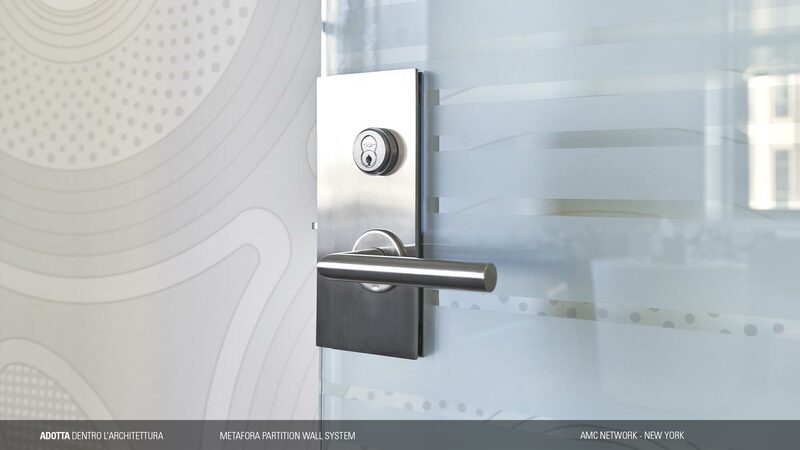 Wood doors have a mortise hinge of similar design, that when specified in combination, provide a harmonious aesthetic. 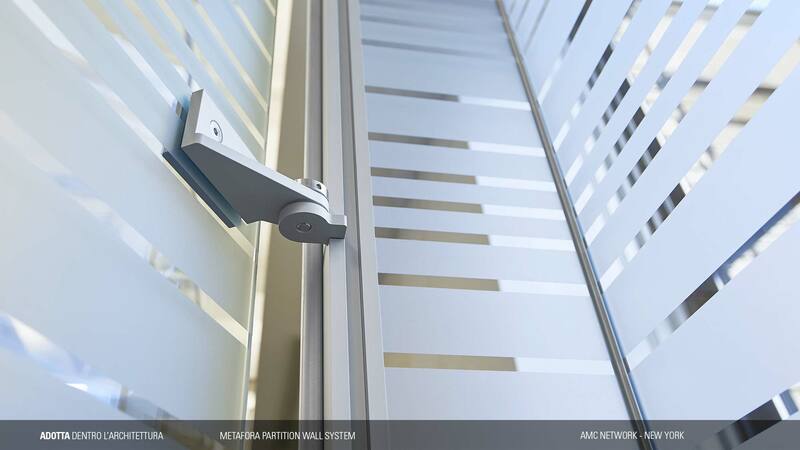 The aluminum portions of the hinges can also be anodized to match the designers finish of choice for the frame profiles.